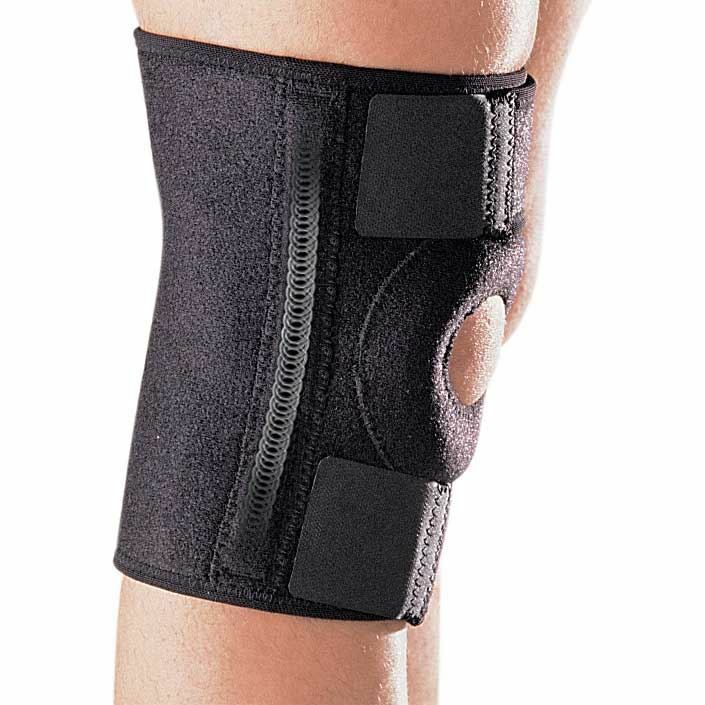 Universal neoprene stabilizing knee support. 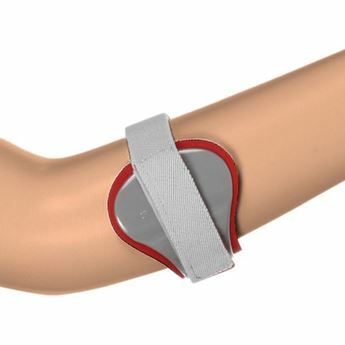 Opening relieves pressure on the patella. 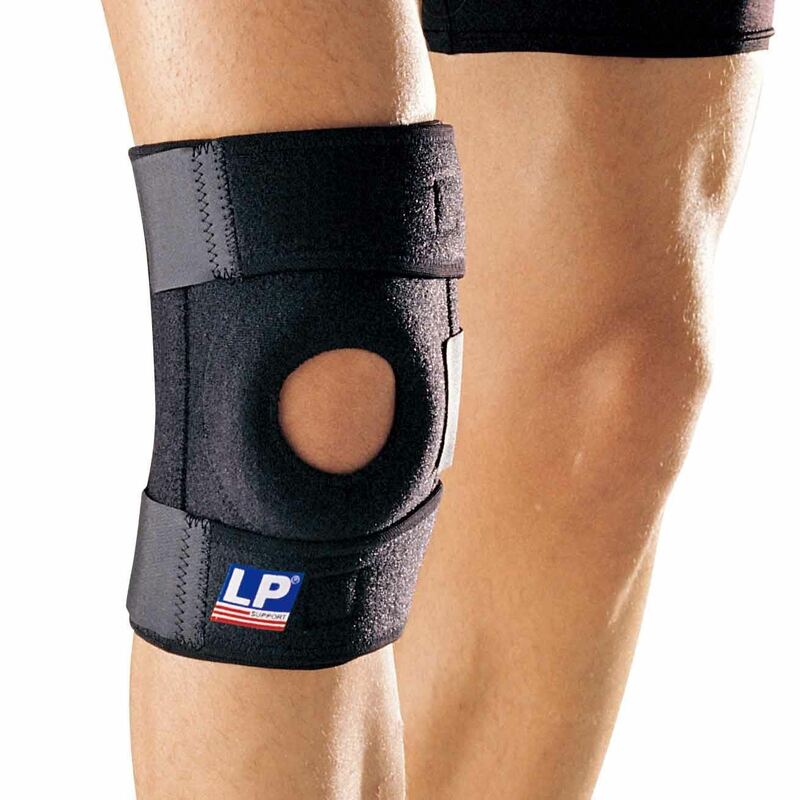 Exclusive reinforced patella stabilizer prevents displacement. 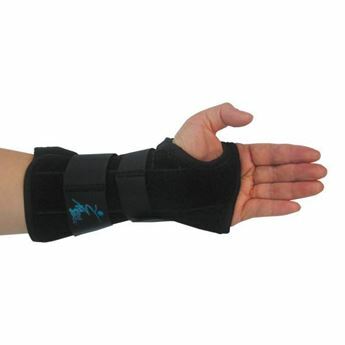 Spiral stays on each side allow limited flexion with rotational stability. 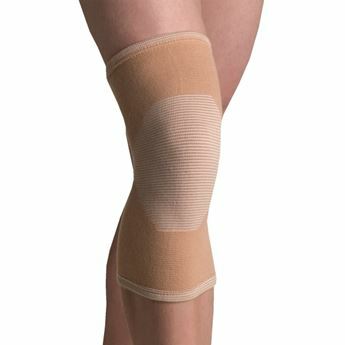 Fits knee circumference between 31.8cm - 40.6cm.